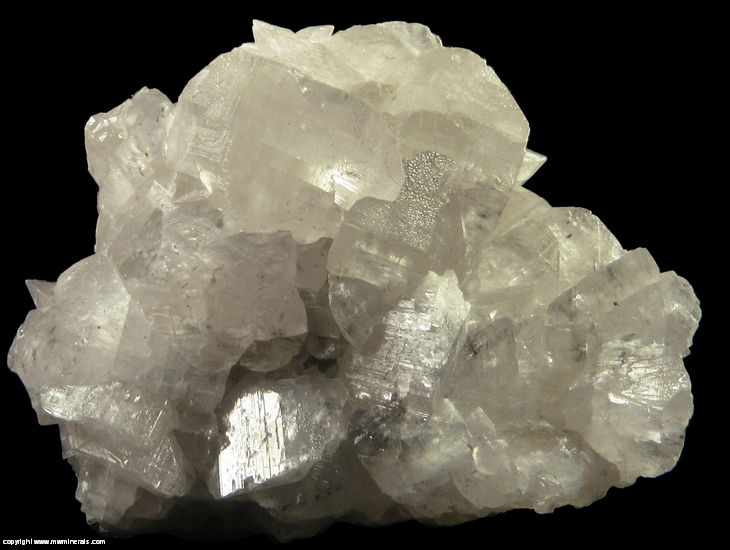 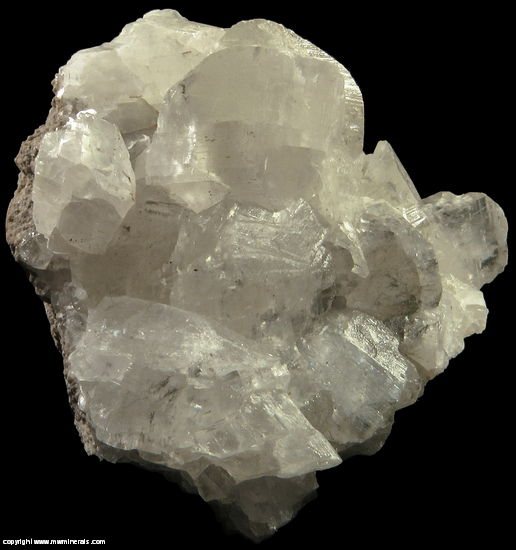 A cluster of off white colored twinned Calcite crystals with inclusions of the rare nickel sulfide, Polydymite, which is closely related to Millerite. 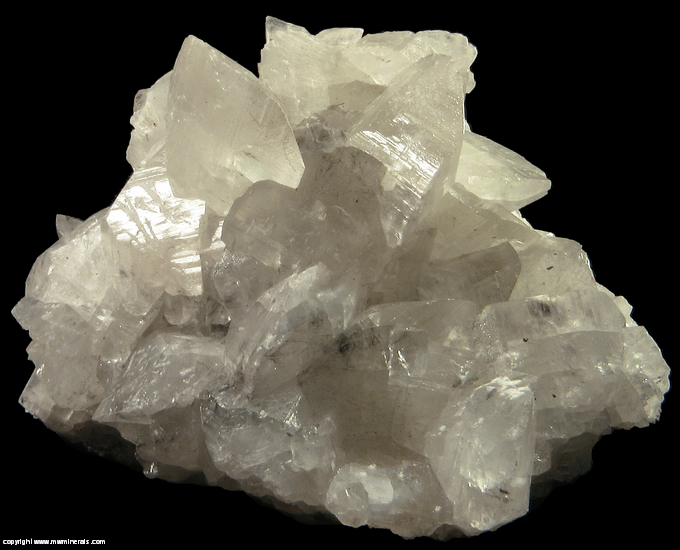 The Polydymite is present encased in the Calcite as dark colored, fibrous crystals. 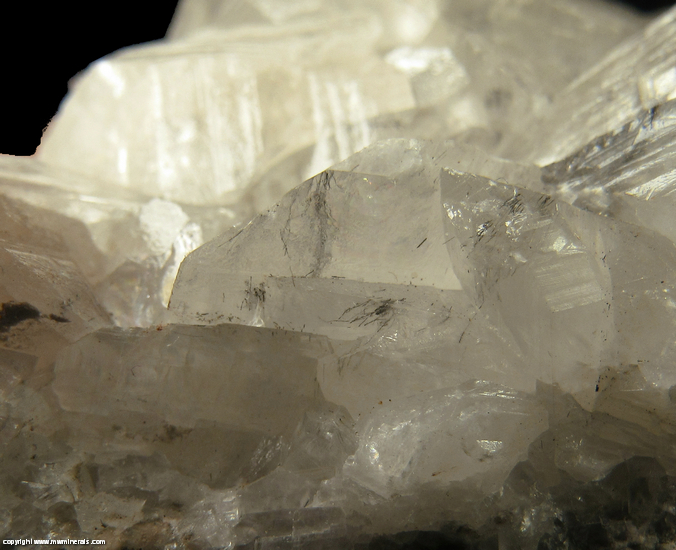 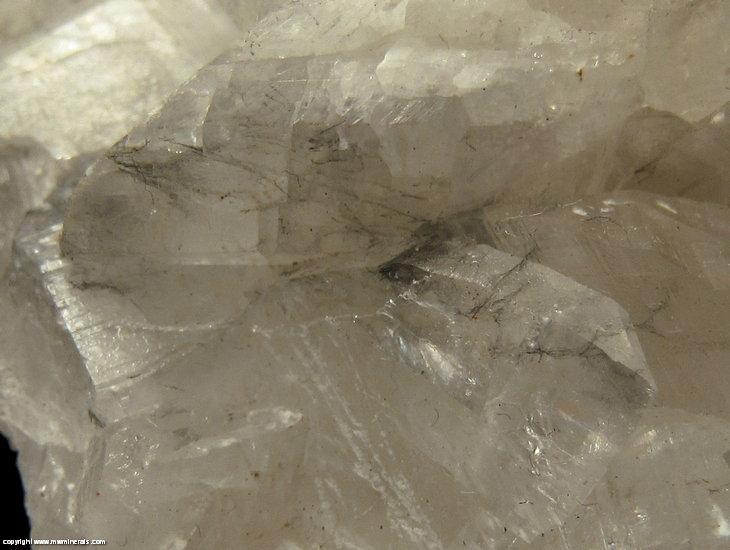 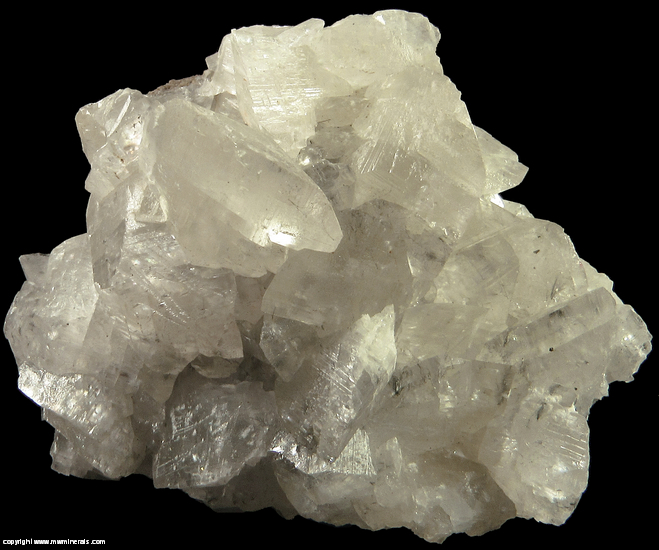 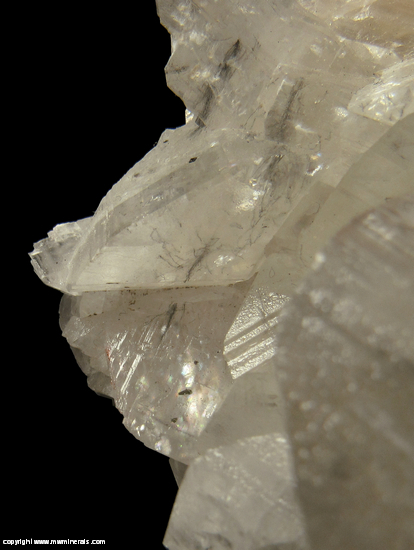 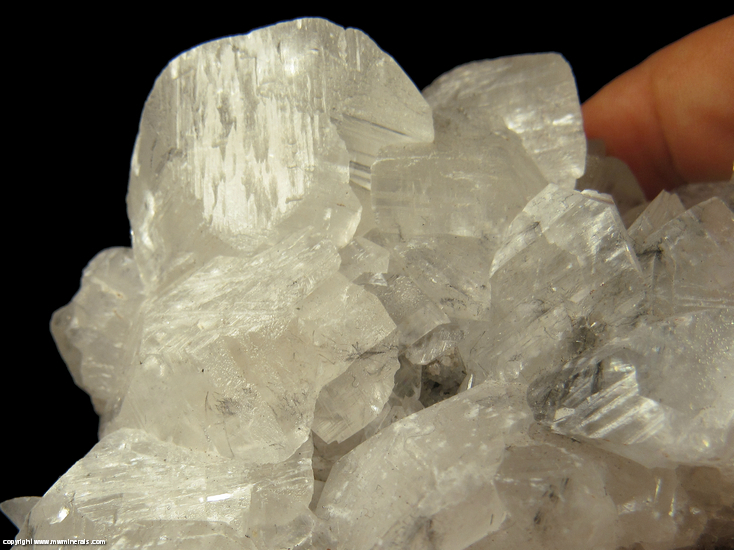 The Calcite crystals have a glossy luster and are striated. 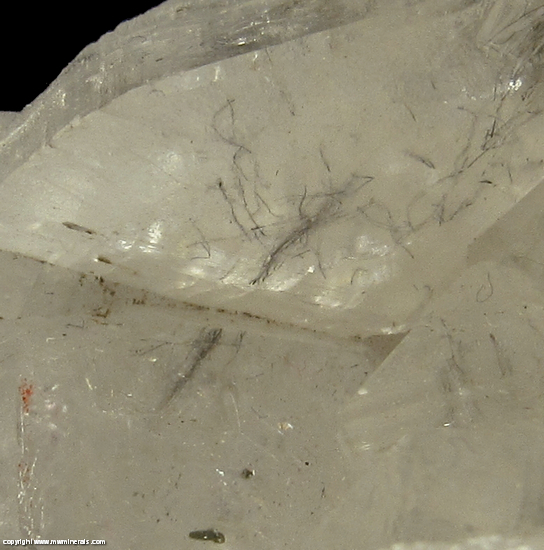 Flaws: There is some bruising on the edges of some of the crystals and a couple of the crystals are incomplete with cleavage planes.